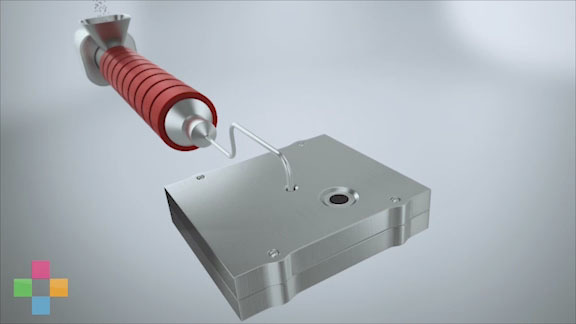 Eastman Chemical and Prestige Mold have collaborated to create a first-of-its-kind multi-cavity, hot runner mold for producing intricate medical parts. Eastman and Prestige proactively created the 32-cavity mold specifically for Eastman Tritan™ copolyester to address future customer needs for durable medical device parts free of bisphenols A and S.
Peace of mind is the Holy Grail for medical devices. So when it came to testing Eastman Tritan™ copolyester, DD Studio left no stone unturned. 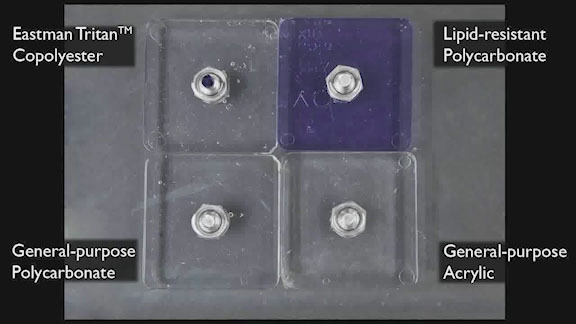 Not only was DD Studio impressed, they suggested that Eastman tell the Tritan™ story with a 3D working sample that communicates the material’s attributes better than any existing sample chip. So DD designers created a ‘double dosing’ medicine dispenser as an inspirational piece that demonstrates how engineering features can interact with the human element. 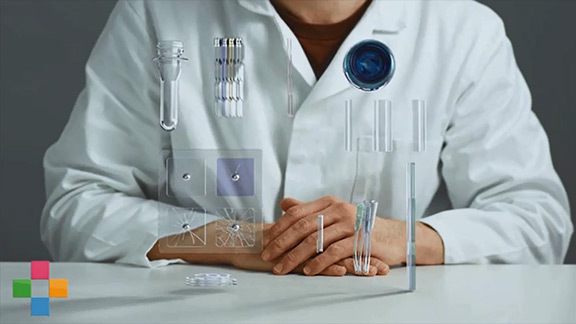 With the Eastman Tritan™ copolyester medical toolkit, medical science meets polymer science. 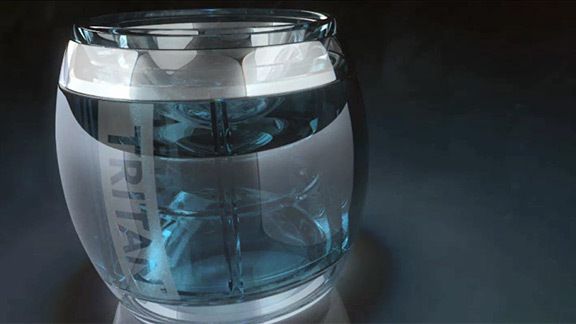 Eastman Tritan™ copolyester can be used as an innovative, clear medical-grade polymer that delivers a unique balance of design, processing, and physical properties for medical devices. Each application in the Medical Toolkit demonstrates the ability Tritan™ has towards key attributes in the medical device and packaging market. Medical grade Eastman Tritan™ copolyester delivers peace of mind without sacrificing performance in medical device applications. Its high-flow viscosity also results in greater ease of processing. One of the world’s top cardiologists calls the ViSi Mobile® Patient Monitoring System “the Control – Alt – Delete of Medicine”. 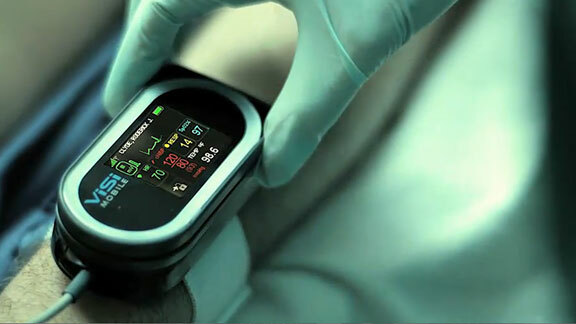 ViSi Mobile® also is being described as a “guardian angel” because it captures all vital signs 24/7 and wirelessly transmits them to the care giver. 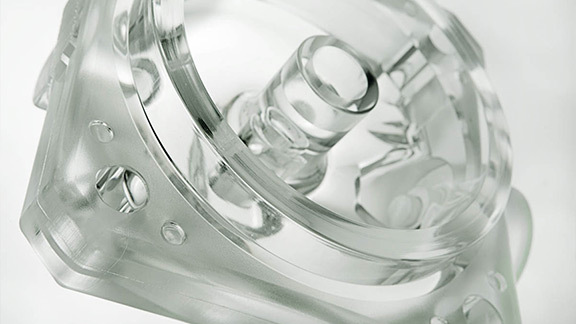 After rigorous testing and prototyping, DD Studio selected Tritan™ for the housing, lens and connectors. 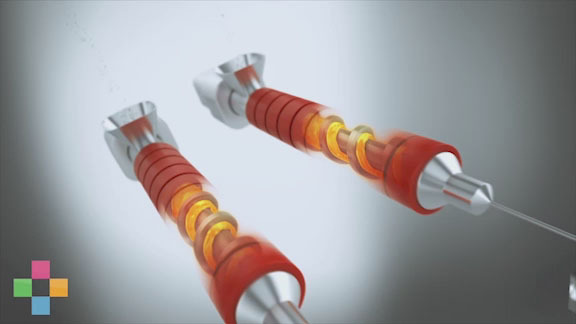 GLS Versaflex™, produced by PolyOne, also is used in the connectors. 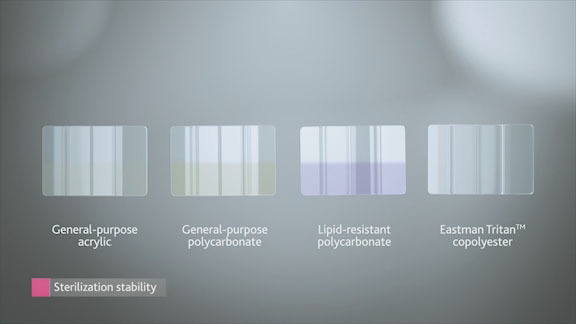 Eastman Tritan™ copolyester can add value to a wide range of medical-device designs because of its balance of performance and processability advantages. 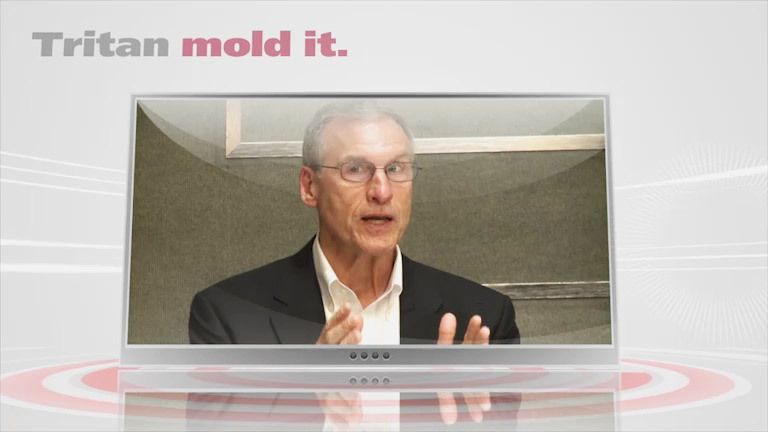 Eastman likes to be involved in the early phases of design to help ensure optimal results. This application starts with chips of Eastman Tritan™ copolyester MX711 and competitive materials, both pre- and post-sterilization. 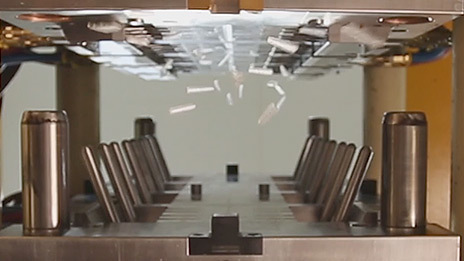 The spiral flow demonstration is an effective way to compare the flowability characteristics of Eastman Tritan™ copolyester MX711 and MX731. 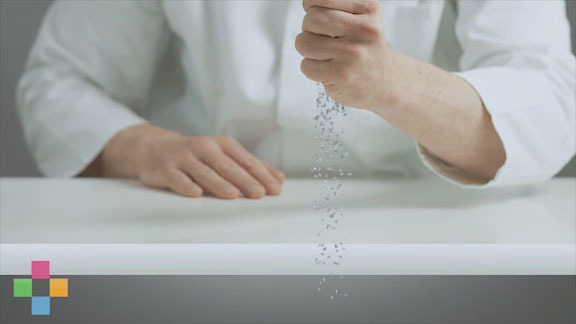 When exposed to a disinfectant like Virex® Tb, the spirals tell a powerful story of clarity and chemical resistance. 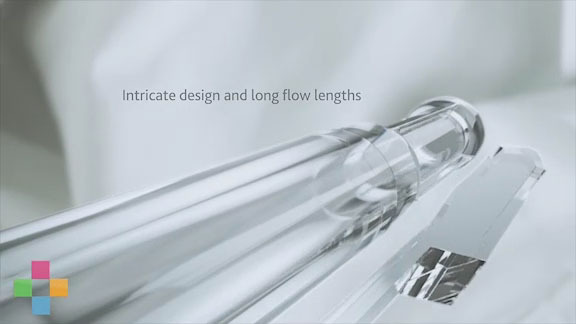 Needle hubs and other intricate medical devices often require a polymer solution with high flowability — in addition to the benefits of retaining clarity and other properties after bonding and sterilization. 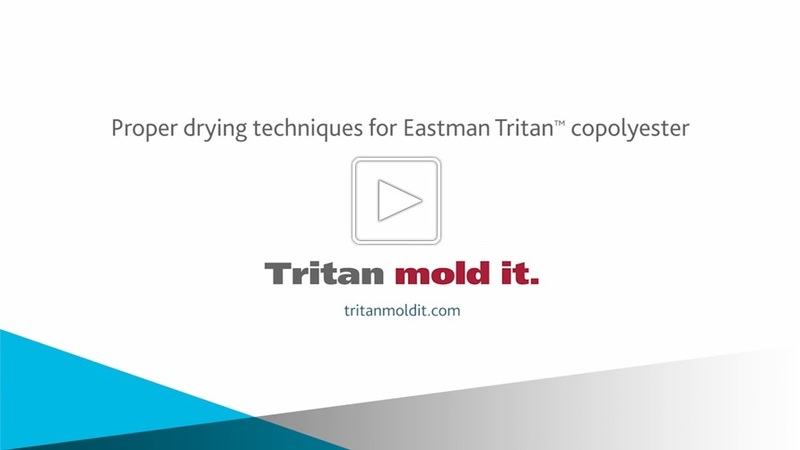 Eastman Tritan™ copolyester MX731 is the high-flow grade of Tritan. Luers molded from Eastman Tritan™ copolyester MX711 offer many advantages in applications where chemical exposure and applied stresses can cause environmental stress cracking or failure. 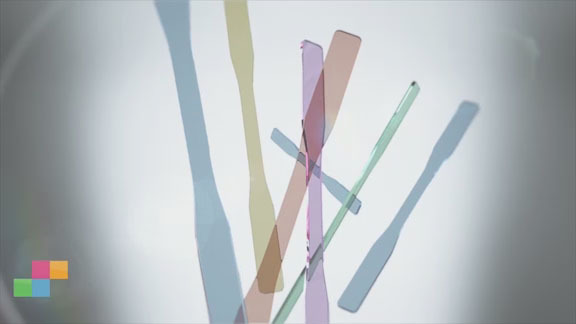 Eastman Tritan™ copolyester can be bonded to PVC tubing with popular solvent bonding agents, including cyclohexanone and tetrahydrofuran (solvent bonding to itself is not recommended). The excellent chemical resistance of Tritan reduces the chances of hoop stress in luer fittings. 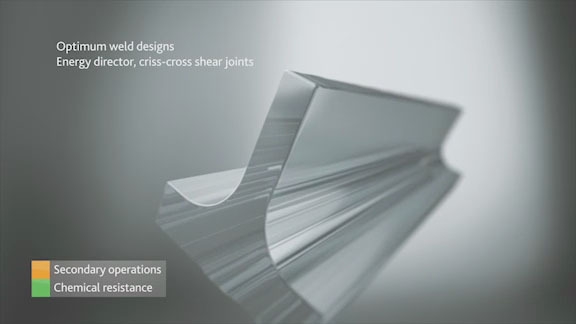 Eastman Tritan™ copolyester has been ultrasonically welded using energy director and shear joint type of bond joint designs. The resulting device can exhibit outstanding impact strength, clarity, and durability — without weld joint flashing. We recommend that Eastman be involved in the early phases of the medical part design to ensure proper joint design considerations have been implemented. 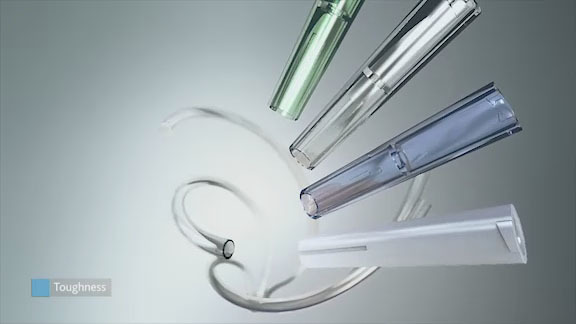 Inherent chemical resistance is one of the greatest benefits of using Eastman Tritan™ copolyester for medical devices. Adding external force dramatizes this benefit, with implications for secondary operations, toughness, and device durability. Eastman Tritan™ copolyester can be processed similar to polycarbonate (PC) but with less risk of undesirable—and unsightly—black speck formation. A stagnant area in an injection molding barrel can cause PC to char, resulting in black specks in molded parts. Tritan, however, does not have this propensity to char. Black specks can be expensive for device manufacturers, particularly when hospitals or clinics reject entire lots of devices because of defects.